As you know, my signature style is heartfelt and breezy. I love the natural and candid moments between my clients, whether they are family members, little ones, or couples. For me, the significance of the emotion and feelings in the images is not lost on me. I knew that was the feel I wanted for these laid-back engagement portraits with this beautiful couple. 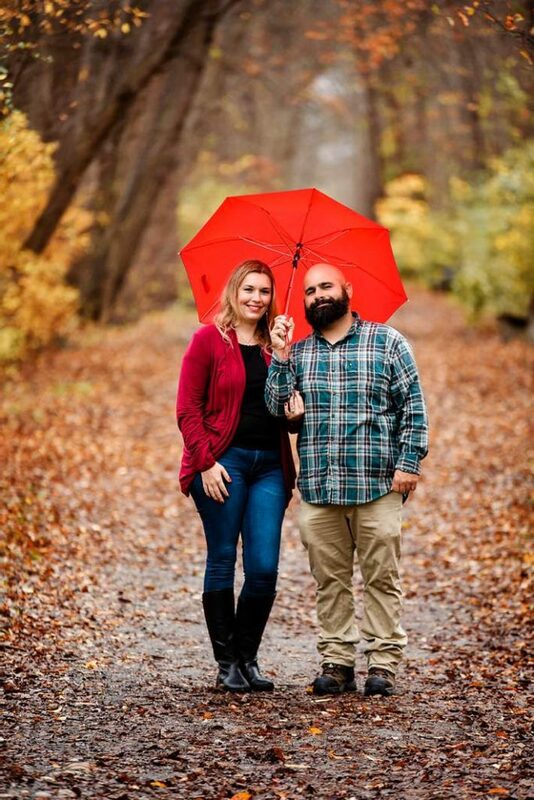 They have recently gotten engaged, and decided it was time to capture this season in their lives. 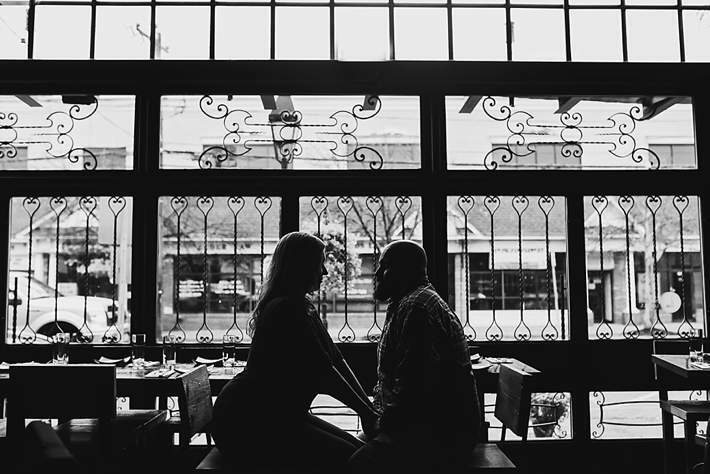 They enjoy spending time together, so I focused on documenting their love story in a few different locations: a beloved restaurant, an outdoor park area, and did some from indoor and outdoor perspectives to give them a wide variety of images. I love the black and white one especially…their love is palpable. 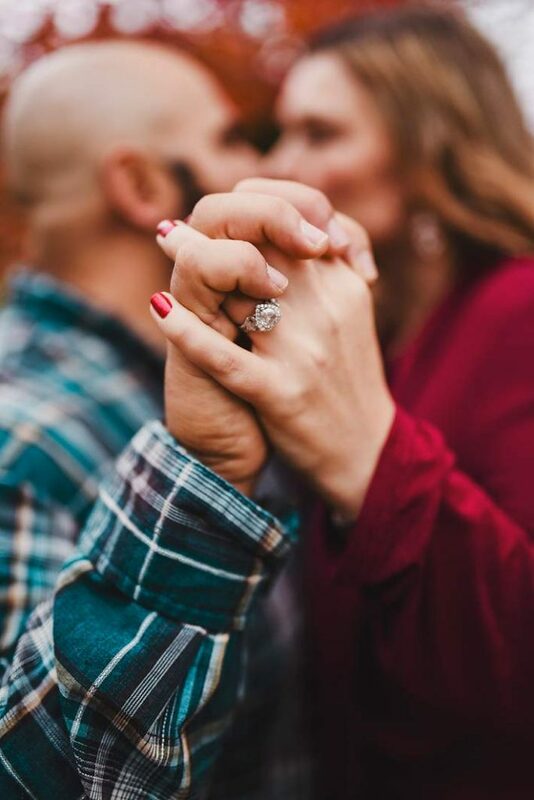 Engagement sessions are something you will never regret doing. They are part of an irreplaceable time in your lives, and they mark the beginning of your love story. Yes, your wedding day is really “day one”, but your love story and journey starts long before then. Saying “yes” to a lifetime together is just as special and wonderful, and the reason I love doing engagement sessions like this one. If you and your beloved have a spot that is special to you, we can also include that in your session (if it’s close enough to travel to, of course. Let me know early on so we can discuss any additional travel rates), and make it part of your shoot. Maybe it’s a local coffeeshop, or the place you had your first date. Congratulations to these two, I wish you so much joy!